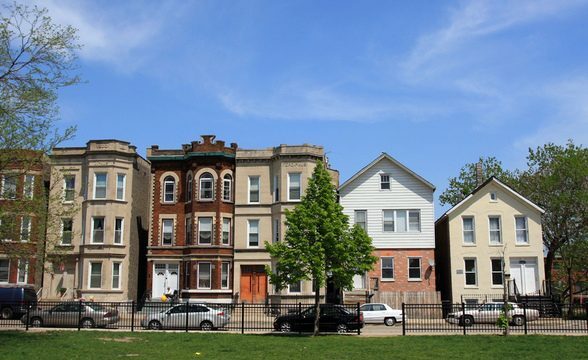 There must be something pretty good about a nabe if 5 Chicago mayors have called it home. Bridgeport garnered its name from a former Chicago River bridge so low that boats had to stop and call this place port. It was never a huge bummer though; Bridgeport’s always been a great nabe to stop in. While it’s mostly residential, Bridgeport’s sunny, bustling mood and its proximity to U.S. Cellular Field in Armour Square next door make this a highly desirable spot. As the years pass, Bridgeport’s continuing to become all the more hip: young folks, artists, and those that once left this nabe are now flocking to Bridgeport in bulk. 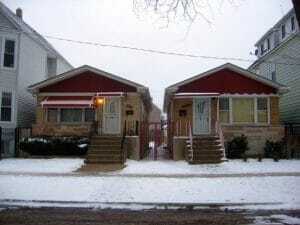 I lived in Bridgeport for a year and this neighborhood was different than any other in Chicago. There was a sense of family and politeness. When I walked down the street, people made eye contact and said hello. Kids played baseball and tennis in the local parks. When I moved into the neighborhood, the man in his balcony across the way starting chatting with us, telling us about the neighborhood and welcoming us. Bridgeport is a self-sustaining neighborhood. 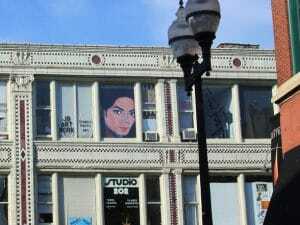 All of my needs were met there living at 31st St and Halsted. There was a Jewel/Osco down 31st for my grocery shopping needs, a CVS, Subway and Dunkin’ Donuts with free wi-fi, and the famous Bridgeport Coffee where I could have a nice lunch and people watch or do work on their free wi-fi. You’re close to U.S. Cellular Field and even if you’re not going to the game, you can watch it at the bars that decorate the neighborhood. Scoops is a really inviting ice cream shop and they give you a lot of dessert for not a lot of money. And, of course, I’ll talk about the rent. This is the cheapest place I’ve lived in all my years in Chicago. We lived in a place that was only $650 for a 2-bedroom, and it was more spacious than the typical Chicago apartment. I lived by a couple laundromats and could easily get around the city by either the Halsted or 35th bus or the Orange line. Bridgeport had more room to move around, people could drive freely without fear that their side mirrors would scrape the parked cars. I still go down and visit my sister who lives there with her husband. Things just feel a little more laid back here. Located on the south side of the city, Bridgeport is easily assessable by the Red Line, which thrills many fans of America’s pasttime. In the late spring and summer, hundreds of people traverse the streets for a day at the ball park since this small nabe is home to U.S. Cellular Field (referred to, still, as Comiskey Park by native Bridgeport inhabitants). An old-fashioned neighborhood in comparison to it’s north side counterparts, Bridgeport is called home by many immigrant families who retain their countries’ cultures and languages. However, this does not lessen it’s charm— in reality, it’s a beautiful area that holds food, family, friends, and the Chicago White Sox close to it’s heart. 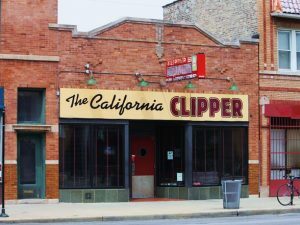 Bridgeport is filled with the rich cultural history that Chicago’s so darn proud of. Irish, Lithuanian, Italian, Mexican, Chinese—people from all these different descents (and the food that comes with them) thrive in Bridgeport. In fact, it was recently named one of the most diverse neighborhoods in Chicago. Bridgeport’s also known for its beautiful architecture: from grand cathedrals to charming old school brownstones (who doesn’t love a row of brownstones?). This neighborhood is ideal for anyone looking for a mildly quiet life in the heart of Chicago. Bridgeport has been home to a lot of history and diverse kinds of people and seems to be a kind of anchor neighborhood for the city. Sox aside, it’s on the more humble and sleepy residential side with lots of families and inexpensive rent. It makes sense that many new people would want to give this part of the near Southside a shot. Bridgeport may be instrumental in revitalizing the Southern half of the city’s reputation. Most of Bridgeport is pretty sketchy. Historically a blue-collar immigrant neighborhood, it fell into a 40-year decline and is now really run-down looking. For many years, the area was pretty dangerous. After the renovation of the former Comiskey Park (now US Cellular Field, or “Comiskular Field” as some clever Sox fans refer to it) the economic health of the neighborhood has been very slowly improving. But this is still not the greatest place, plus a 45-minute-at-best commute to downtown makes it less than ideal to live.